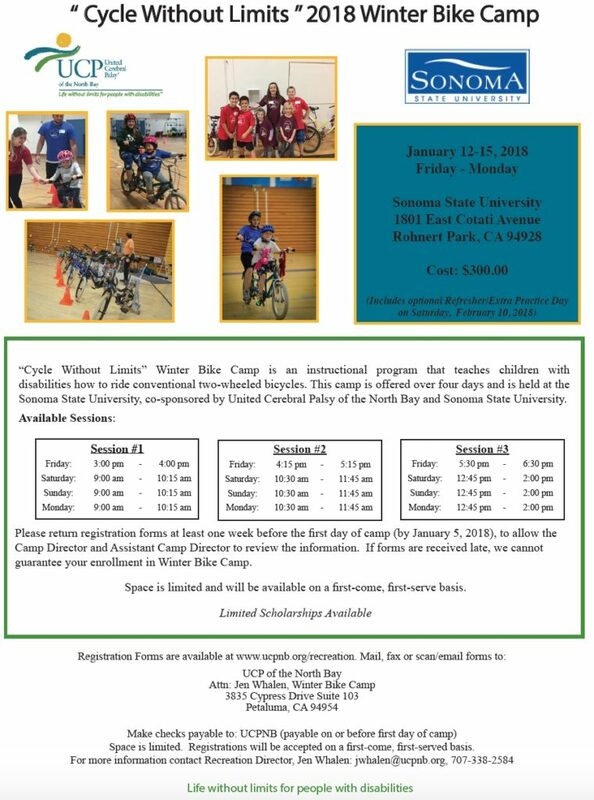 The Cycle Without Limits bike camp for children with special needs will be held January 12-15 at Sonoma State University. The camp uses specially-designed bicycles to teach children who often have difficulty learning how to ride a conventional two-wheeled bicycle. The bikes use air cylinders to gently cushion the rider while keeping the rider safely upright. As the rider's skill develops over the course of the camp, the air pressure is gradually reduced until the rider is riding on his or her own. Each rider has a camp counselor at their side while on the bike, making any necessary adjustments as riders gain confidence pedaling around the Sonoma State gymnasium. The camp is directed by Sonoma State kinesiology professor emeritus Elaine McHugh. Instructors include adapted physical education teachers and SSU students. The event is presented by Sonoma State University and United Cerebral Palsy of the North Bay. The fee for the three-day camp is $300, with limited scholarships available. The camp with three sessions to choose from also features an optional extra practice or refresher day of training on Saturday, Feb. 10. A summer edition of the camp with will also be offered June 11-15 at SSU. The five-day camp includes a swim portion that teaches children with disabilities how to swim. For more information, visit http://ucpnb.org/recreation/cycle-without-limits-bike-camp. Cycle Without Limits in action at Sonoma State University. The Cycle Without Limits summer bike and swim camp at Sonoma State University will teach children with special needs how to ride bicycles June 13-17. These children often have a history of difficulty learning how to ride a bike using traditional methods. 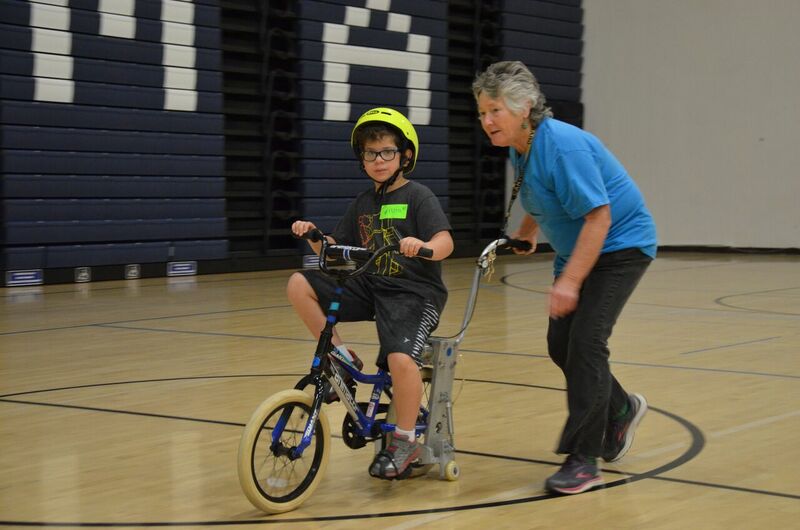 Nineteen years ago, Sonoma State kinesiology professor emeritus Elaine McHugh attended a conference where she saw an engineer and a kinesiology professor present a new way to teach kids with special needs how to ride a bicycle.